On 2 January 2019, the Chinese President, Xi Jinping, gave a lengthy speech about PRC’s policy towards Taiwan, which global media outlets immediately focused their attention on. This is quite reasonable considering the fact, reported on by the New Eastern Outlook on more than one occasion, that the Taiwanese issue has gradually shifted to the epicenter of the conflict between the two world powers. The problem escalated when the Democratic Progressive Party (DPP), headed by the current President of Taiwan, Tsai Ing-wen, came to power on the island at the beginning of 2016. The DPP and Ms. Tsai more or less definitively support the nation’s complete sovereignty. In other words, they have de facto chosen to ignore Beijing’s key policy of “One China”, which (within the framework of the so-called 1992 Consensus) the Kuomintang, Taiwan’s second largest party, is in agreement with. Still, the Kuomintang’s position on this issue requires clarification. It is quite important to note that the official reason for the previously mentioned speech, given by China’s leader, was the 40-year anniversary to mark the day (1 January 2019) the Message to Compatriots in Taiwan was sent. The message was addressed to the islanders from the National People’s Congress, NPC (i.e. PRC’s parliament), and was delivered on the day official diplomatic ties with Washington were established and formal Taiwan–United States relations were severed. Still, we must not forget that these words were written 40 years ago, when Taiwan had a one-party system, which was as inflexible as that on the mainland. The Kuomintang, which enjoyed an interrupted reign over the nation until 2000, has always subscribed to the one China principle, but, naturally, only as long as it continued to rule. Hence, as a matter of fact, the authors of the aforementioned passage did not stray far from the truth. The Kuomintang’s stance on this issue began to change after Lee Teng-hui, who was born in Taiwan (and was not a “defector” from the mainland), became the leader of the party in 1988. Although the previously mentioned Consensus was signed while he was at the head of the party, under his leadership Taiwan’s political elite began to comprehend how completely futile the party’s plan to one day lead “one China” in the future was. And as a result, they realized they needed to focus their efforts on transforming the island into a prosperous, sovereign state. However, Lee Teng-hui misjudged the Kuomintang’s principles to such an extent that in 2000 he was compelled to leave the party. Today, at his almost 100 years of age, Lee Teng-hui is one of the most respected politicians in Taiwan, but most heavily criticized in China, where he is regarded as practically the principal culprit for the birth of “Taiwanese separatism” and its consolidation. From 2000 to 2008, and also from 2016 to the present, the DPP continued and still continues Lee Teng-hui’s legacy. During the former period, Taiwan’s President was Chen Shui-bian, and currently, the post is held by his apt pupil, Tsai Ing-wen. Under her leadership, the party decisively defeated the Kuomintang at the scheduled general elections at the beginning of 2016. It seemed that the DPP were given carte blanche to hold a long-proposed referendum (with an expected outcome) on one single issue of either supporting or rejecting Taiwan’s complete sovereignty. In the meantime, Beijing intimated, on a number of occasions, that even announcing preparations for such a referendum will serve as a signal to switch gears and resolve the “Taiwanese issue” and not by peaceful means. Based on results of the local elections, held on 24 November 2018, even the Taiwanese, seemingly, felt unease at such a possibility, and chose to send the DPP a warning message. Tsai Ing-wen heeded the warning and announced her decision to step down as the leader of her party. In China, however, it is believed that the current Taiwanese President is not prepared to “learn from her mistakes” after the latest electoral defeat. And some of the statements from her New Year address to the Taiwanese residents support this view. The Taiwan News’ (a newspaper) commentary on her speech forecasts that the current Taiwanese leadership will continue taking a hard line on relations with PRC in 2019. It is also worthy of note that this apparent message from Taipei to Beijing was sent the day before the previously scheduled speech on its theme by the Chinese leader. 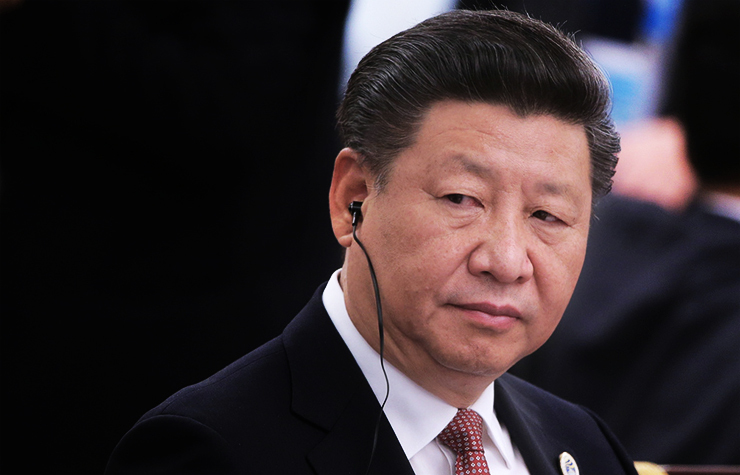 In turn, Xi Jinping’s address included not only an analysis of the outcomes that stemmed from implementing the 40-year-old document but also PRC’s official response to yet another message from Taipei. Overall, President Xi Jinping did not convey anything fundamentally new (in comparison to, for instance, the law enacted by the NPC in 2005) about the crux of the Taiwanese issue or possible approaches to resolving it. Having noted that this problem arose during a moment of weakness in the nation’s history, he once again definitively described the framework within which a wide-reaching and democratic dialogue was possible between representatives of the two ruling administrations, as well as of public organizations on both sides of the Taiwan Strait. Since the issue itself is viewed as China’s domestic problem, there are no provisions for any form of “external” participation in resolving it. The main aim of this type of dialogue is to eliminate any losses the nation has incurred, stemming from recent events in its history, by peaceful (preferably) means. And this should promote growth and prosperity in China and other countries of the region. The previously mentioned 1992 Consensus, with its key premise of “one nation, two systems”, which upholds Taiwan’s current political and economic system, should serve as a platform for negotiations. Only a “select” group of supporters for independent Taiwan will be unable to find their place on it. Still, China’s leader did not promise to forego the use of force, and he left the option of using all necessary means on the table if peaceful approaches did not bear fruit. In other words, he reiterated a key clause from the 2005 legislation. Another premise voiced during the speech, which drew attention, was about the fact that “compatriots across the Strait are all Chinese” and they “share natural kinship and national identity”. With this statement, President Xi Jinping effectively ruled out the possibility of a separate ethnic group existing within the Taiwanese society, but quite a few scholarly documents have been written about this “Taiwanese” ethnicity. Naturally, neither the DPP nor the current President of Taiwan, Tsai Ing-wen, could possibly fit within the framework for dialogue described by the Chinese leader. But during the previously mentioned New Year address to the nation, Taiwan’s President described herself as a supporter of negotiations with Beijing and of developing ties with the mainland. From the author’s point of view, President Xi Jinping did not leave much room for the pro-unification with China Kuomintang party to fit within his framework either. It is unlikely that the concept of the ”United States of China”, proposed by the Grand Alliance for China’s Reunification Under the Three Principles of the People (in some way affiliated with the Kuomintang) will find support in Beijing. Finally, we should not lose sight of the external political context in which yet another verbal confrontation between the two sides of the Taiwan Strait is taking place. As a long shadow, cast by Washington (Beijing’s key opponent) over the more noteworthy actions taken by Taipei, is becoming more and more visible. In the meantime, the current state of Sino-American relations looks decidedly ambiguous. On the one hand, at the beginning of January yet another scheduled round of negotiations at the ministerial level took place in Beijing, with the aim of finding a compromise solution to the “trade war”, which has erupted between the two world powers. On the other hand, on the very first day of negotiations, a U.S. guided-missile destroyer once again crossed into a 12-mile zone surrounding one of the islands, located in the South China Sea and the Paracel archipelago, under China’s dominion. All of these developments do not leave the author of this article with any other option, but to end yet another report on the Taiwan issue with the trite words “Let us wait and see”.